We did this class the last 3 years, and so many people enjoyed it. 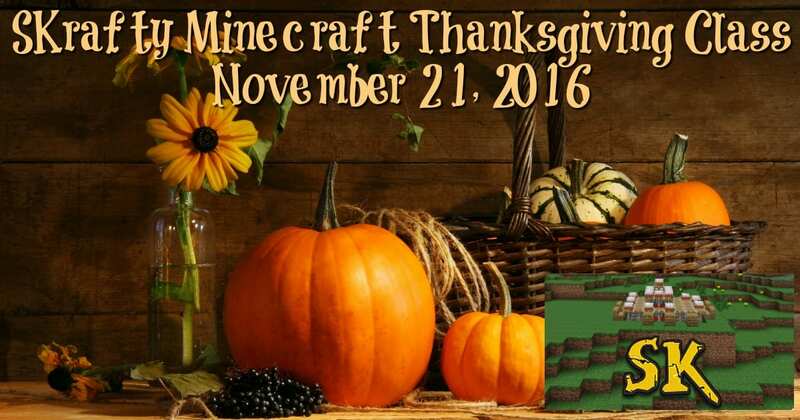 We are so excited to be able to offer it again this year. 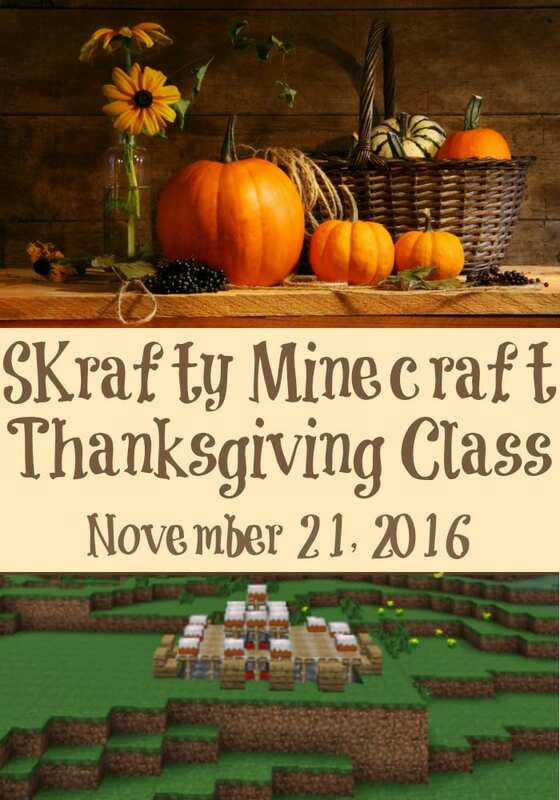 SKrafty is hosting a Minecraft Thanksgiving Mini Class during the week of Thanksgiving. Note: Subscribers will be able to access this class and all other classes at no cost. 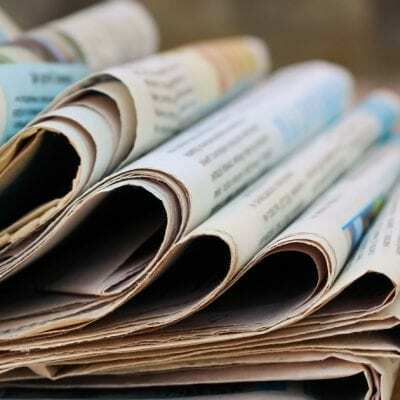 Click here for information about a SKrafty EDU subscription. 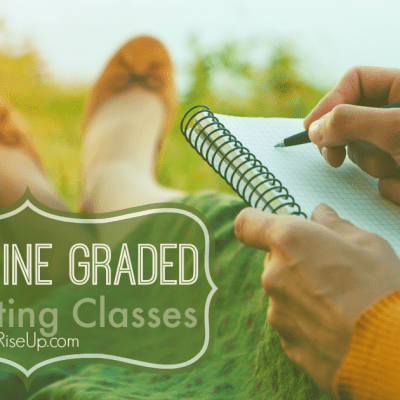 Note: The self paced class will not include a Live Session. Students will log in to edu site to get instructions, watch video lessons, and go through the course on their own time.